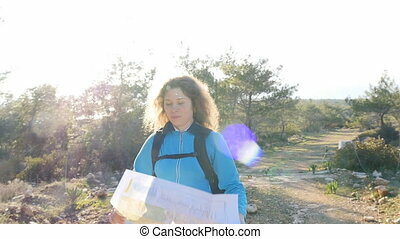 Young female sitting with backpack and map. 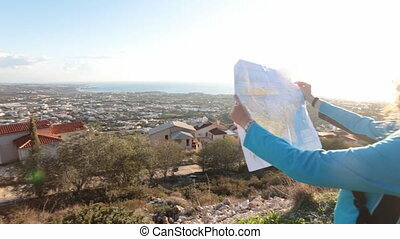 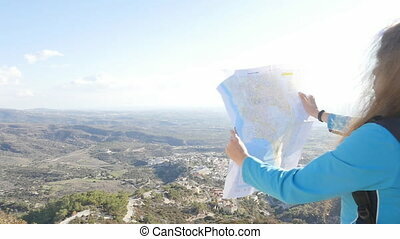 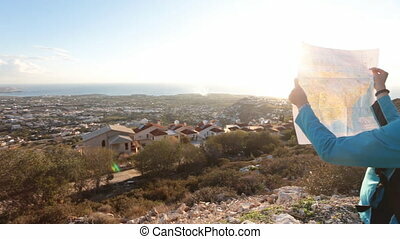 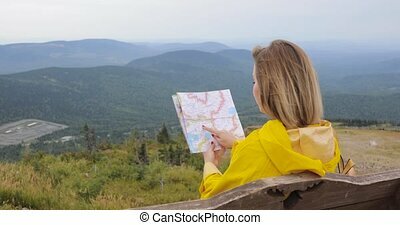 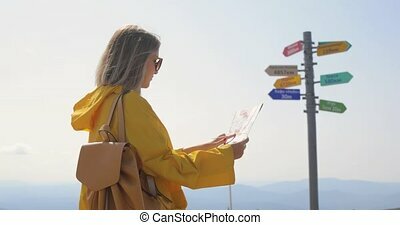 Young female tourist sitting on ground with backpack and looking at map on background of beautiful mountains. 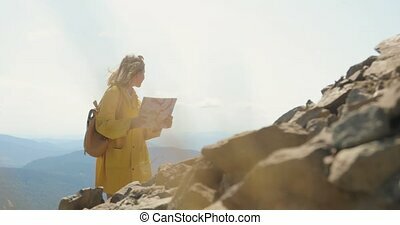 Young female tourist sitting on ground with backpack and looking at map on background of beautiful mountains. 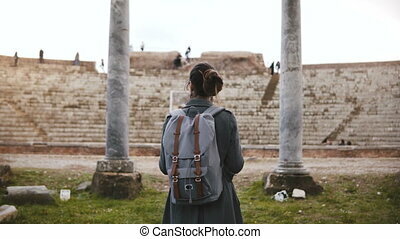 Young boy with backpack sitting at road. 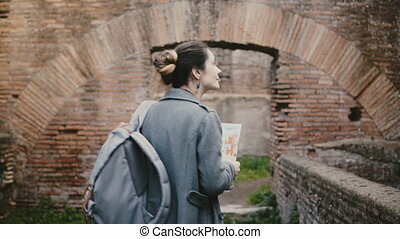 Traveler. 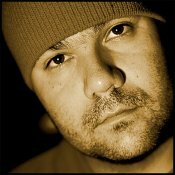 Thumb up. 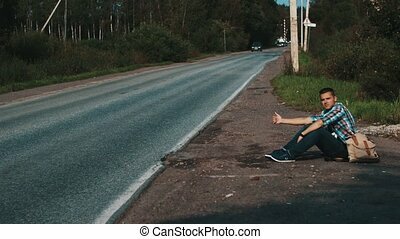 Hitchhiking. 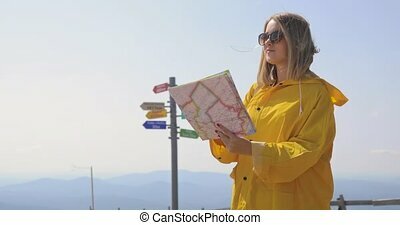 Summer sunny day. 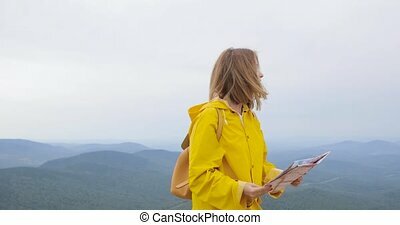 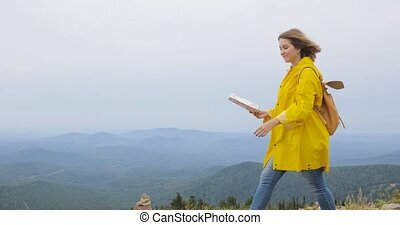 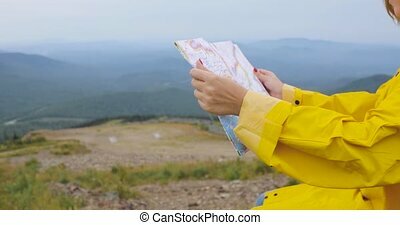 Young female hiking im yellow raincoat with a backpack in mountains holding paper map in hands.